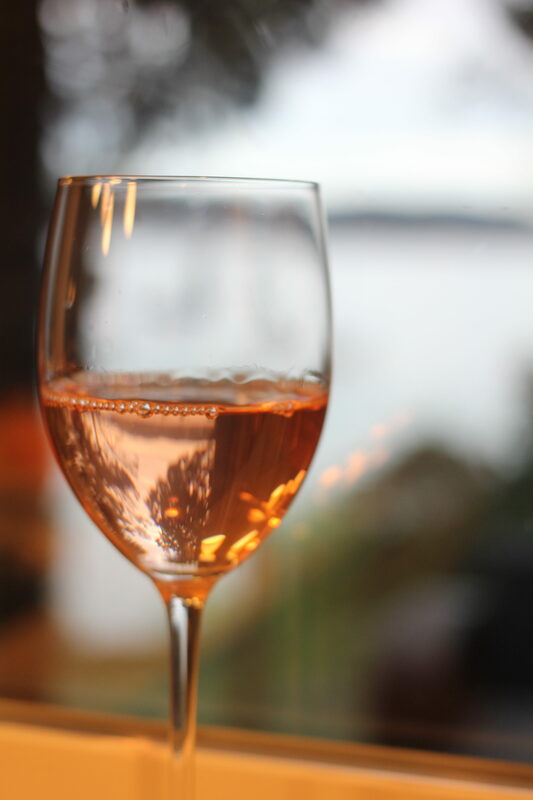 I always associate Rosé with sunshine. And this past Easter long-weekend, the sun, which has been elusive for months, shone. And so I eagerly reached for a pale gem from Lock & Worth Winery that has been lingering in my refrigerator, waiting patiently for such a day. This graceful wine comes from the sandy terrior of the Naramata Bench in British Columbia Canada, and is distinctive because it is made solely from Cabernet Franc grapes. 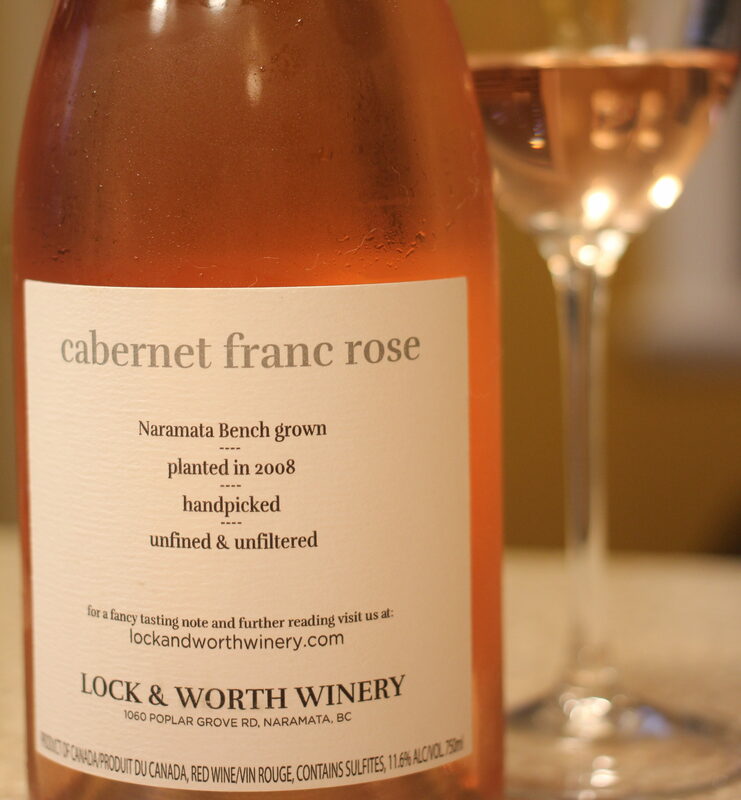 Pale but potent, light but intense, dry but lively: THIS is what I want to drink in pink. Copiously. 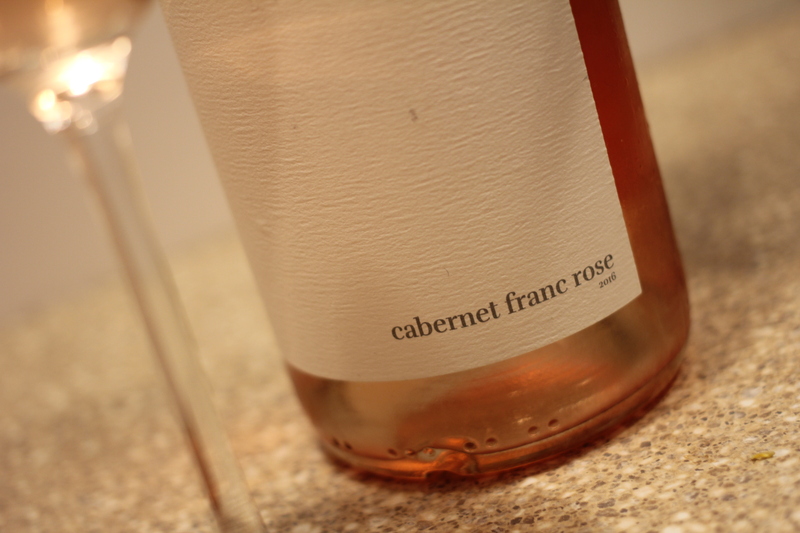 From 1.5 acres of 2008-planted cabernet franc on the sandy Naramata Bench, this was whole cluster pressed (three hours of skin contact) before resting in neutral French oak for six months. A slight cloudiness attests to the low-intervention winemaking: this was bottled without fining or filtration. Crisp and tight, streaked with mandarin peel and brightened with a juicy quell of acidity, this is all wild strawberries, salted plum, herbal salts and broken stones. Savoury, lithe and finessed, at an impressive 11.6 percent, this is the definition of serious AND seriously smashable. Alas, the sunshine did not last. But then again, neither did this delightful wine.